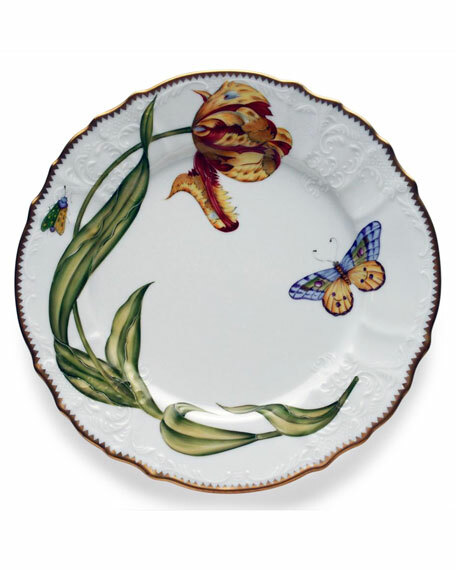 Hand-painted porcelain dinner plate. 10.25"Dia. Hand wash. Made in Hungary. This is a special order pattern. If not in stock, please allow up to 4 months for creation and delivery. 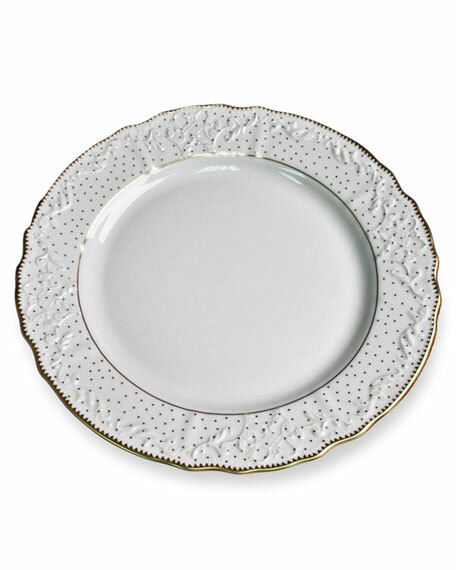 White porcelain with golden trim and dots on scalloped lip. 10 1/2" diameter. Imported. 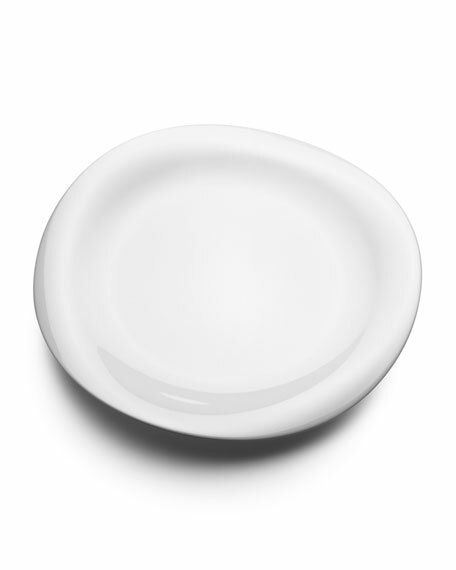 White porcelain dinner plate. 10.5"Dia. Dishwasher, microwave, and freezer-to-oven safe. Designed by Constantin Wortmann. Made in Portugal. 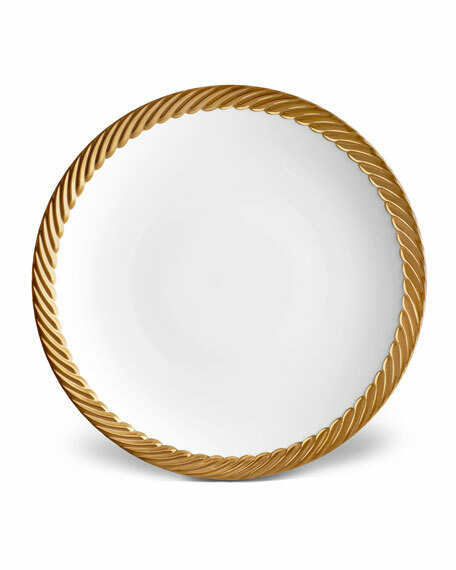 Daphne Lavande porcelain dinner plate. 24 kt. 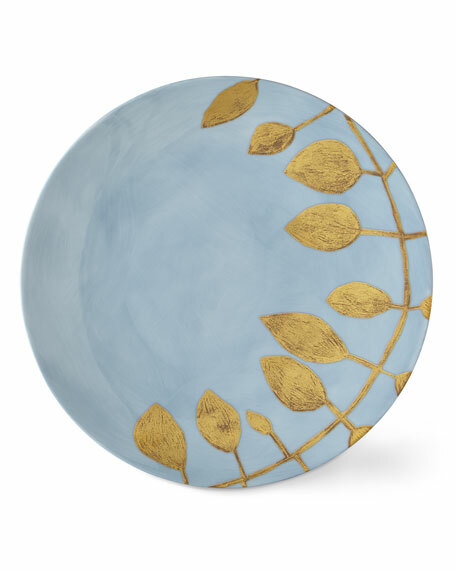 gold leaf design. 11"Dia. Dishwasher safe. Made in France.